A Walk in the City! Walking around the city’s two contrasting yet close by areas was an unforgetful experience. What could be better than an early morning walk in the city with an intention of locating the trees in these areas and governing the functions of these trees. We, a group of seven, went around the Shivaji Nagar area on foot and then its neighboring residential area of Cox Town, Cookes Town, Richmond Town and Harris Town to locate or map trees that we came across and the kind of trees present in these areas. Interestingly and subconsciously we all were able to feel the existence and non-existence of trees in the residential (Cox Town) and commercial spaces (Shivaji Nagar) respectively. 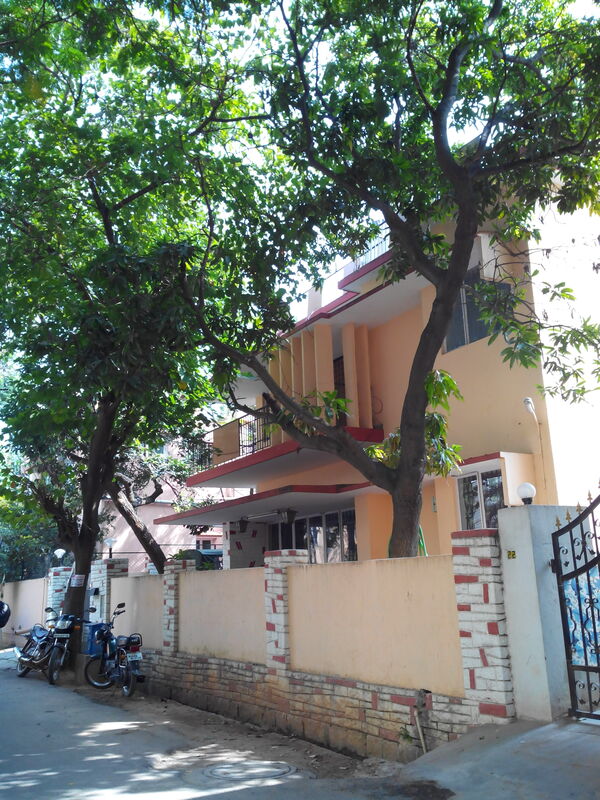 On one hand, where there were limited traces of trees in the Shivaji Nagar area, on the other hand, the Town area was filled with trees of different kinds which formed canopies along the street. Interestingly the existence of these trees in the different areas was serving different purposes. 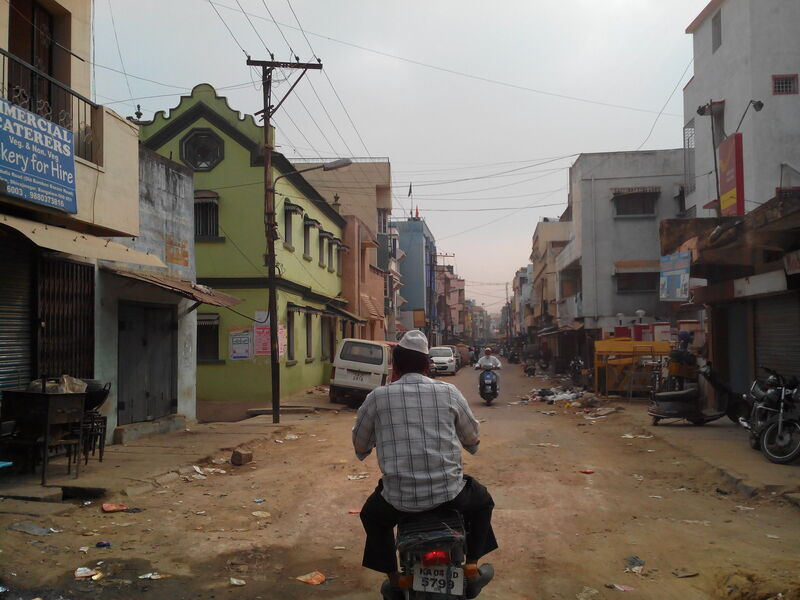 In the Shivaji Nagar and surrounding areas, there were hardly any trees on the main road. It seemed as if the trees were knocked off for producing commercial space. 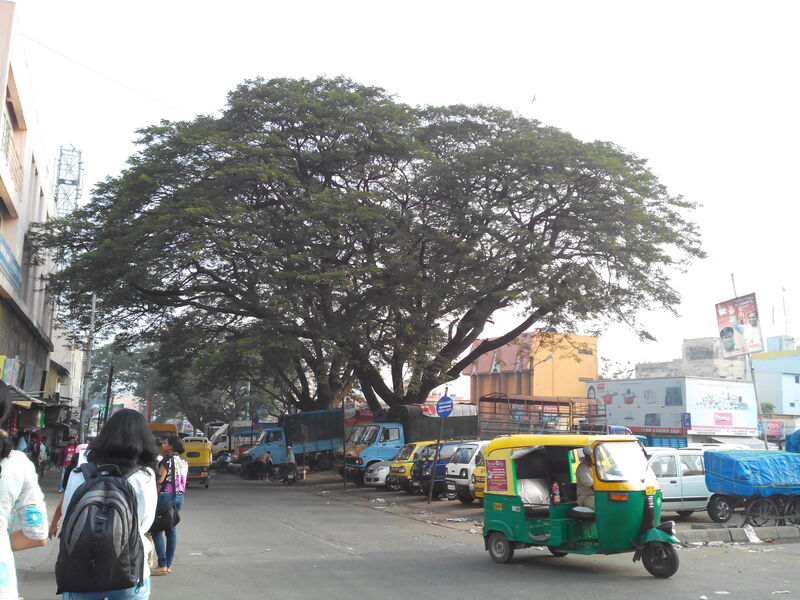 However, there were three-four rain trees which were acting as the road dividers. These trees were most importantly giving shade to the area underneath. There was a taxi stand beneath the tree. A lot of vegetable vendors sat under the tree to sell their products. The trees’ shade was an area of social interaction where people chatted and it was a point of hustle in the market. 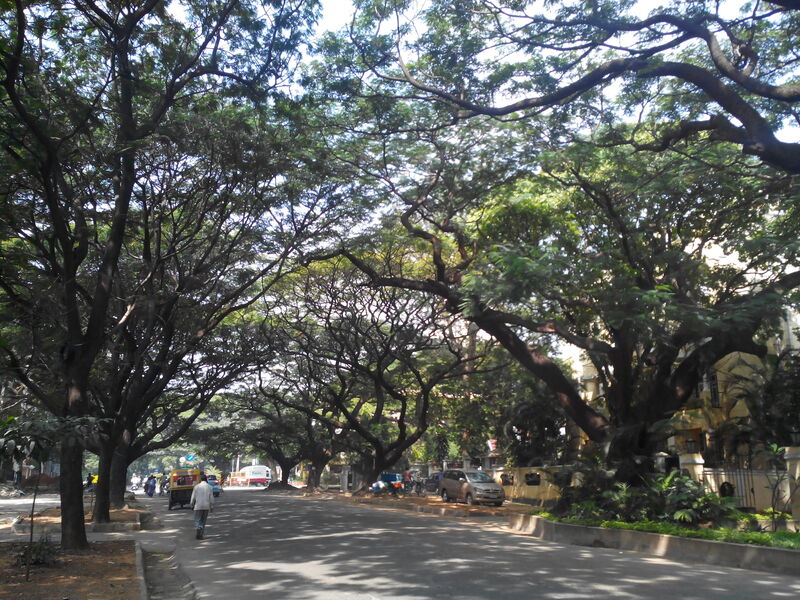 In the residential areas of Cox Town, the trees served an aesthetic purpose. 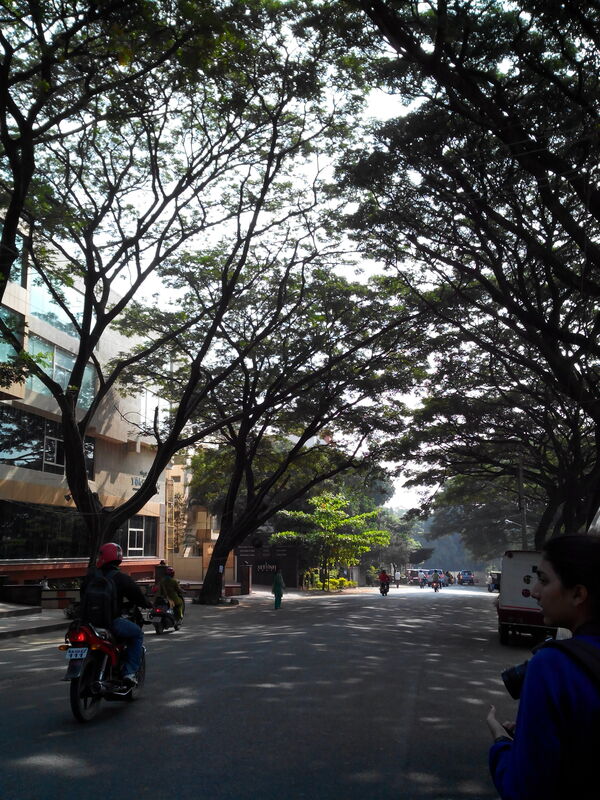 The place was cool due to the surrounding canopies of trees on all the streets. Also, because the area was a residential area, it was quiet and peaceful. Every house along a street had a tree inside its periphery which was nurtured by the residents. It was a grateful feeling that all these trees were conserved and looked after by the people. It also made me feel that many people are still sensitive about conserving and protecting trees and keeping the environment healthy. All in all, it was a great experience to map the trees in the city area and find interesting observations about their uses.